Striking up an online discussion can be tricky when you’re half a world away. Thankfully, eLearning can break down the barriers and remove geographical limitations that stand in the way. In this article, I’ll highlight 8 techniques to facilitate meaningful online discussions in your eLearning course. Online discussions keep the feedback flowing. Online learners have the opportunity to interact with their peers and share eLearning experiences, even if they live on different continents. Meaningful online collaborations can also improve knowledge retention and social learning skills. However, online learners can only reap the rewards if the lines of communication remain open. Here are the 8 top ways to spark meaningful online discussions and keep the flame burning bright in your eLearning course. Anytime you have a group of people gathered in one place, even if it's online, disagreements are bound to happen. It's a fact of life. Fortunately, you can minimize the impact of these disagreements by developing a conflict resolution strategy. If the online discussion escalates into an argument, it's always best to intervene and stress the importance of mutual respect. You can also encourage online learners to discuss their point of view and look at things from a different perspective. In some cases, it might be a simple misunderstanding that arose from different personal values or beliefs. This is yet another reason why supportive learning cultures are so vital. Online learners should know that their opinions matter and that their ideas are welcomed. Different eLearning courses have different levels of social interactivity. While some make participation mandatory, others opt for a voluntary approach. Therefore, you must be clear about what online learners can expect from the eLearning experience and what you expect from them. Specify which online platforms you're using for online discussions, how often they should comment, and what their comments should entail. For example, a short paragraph response to the prompt you included in the blog post. Write a list of tips and guidelines and pin it to the top of your message thread for quick reference. In some instances, your meaningful online discussions eventually take on a life of their own. They run autonomously and online learners take control of the online discussion. However, in the beginning you'll need to play an active role in the online discussion. Post questions, online articles, and prompts that encourage online learners to reflect. Invite them to share feedback and voice their concerns. The goal is to break the ice so that online learners become invested in the online discussion and want to actively participate. If you're working with a distracted audience, you may need to take it a step further and get controversial. Shine the spotlight on their assumptions by asking thought provoking questions. Highlight current eLearning course points that are debate-worthy. Sometimes the best way to get online learners involved is by giving them a choice. Certain individuals may not want to discuss their opinions or share ideas with the group. And that's okay. Forcing them to interact with their peers will only make them feel uncomfortable and alienated. As such, it's wise to make participation completely voluntary. Invite online learners to join the meaningful online discussion and highlight the benefits. Share the guidelines so that they know what to expect. If online learners are perpetually absent, send them a private message to check in and figure out what's holding them back. They may just need a gentle push to jump into the online discussion. Every forum, blog, and social media post should focus on a specific topic. There are two key reasons for this. Firstly, it prevents cognitive overwhelm. Secondly, it makes it easy for online learners to respond or leave their eLearning feedback. Going off on tangents or trying to cover too much subject matter will only lead to confusion. Aside from this, you should also moderate ongoing online discussions to ensure that they are on-topic. Get them back on track by asking relevant questions or pointing out the key takeaways. For example, drawing their attention to a surprising stat or fact they may have overlooked. There are people who love interacting with large groups. In fact, they thrive in online social environments and look forward to lively debates. Then there are those who need more personal interactions. The thing to remember is that people who enjoy bigger online groups will still be productive in smaller groups. But introverted online learners are less likely to participate in open forums. As a result, you should create smaller online groups based on the eLearning topic, course, goals or online learner interests. Create a posting schedule that features all the topics you want to cover and when. Include all materials, links, and prompts or questions that accompany each talking point. You should also emphasize how each online discussion topic relates to the learning objectives and goals. Share the schedule with your online learners in advance so that they can research the topic on their own. Alternatively, you can keep the schedule to yourself to encourage more spontaneous responses. Ask a different online learner to co-host the online discussion with you each week. Invite them to create a post or question that sparks a conversation. This gives them the opportunity to share experiences and knowledge with their peers. They can also learn about different perspectives or get eLearning feedback that helps them improve. If you are turning the tables, make sure to set some ground rules and assign topics well in advance. Meaningful online discussions can also help you assess learning comprehension and research the strengths and weaknesses of your eLearning course design. In fact, one of the advantages of online discussions, social media groups, and other collaboration tools is their versatility. The possibilities are endless when it comes to their eLearning applications. Are you looking for more ways to keep your online discussion on track? 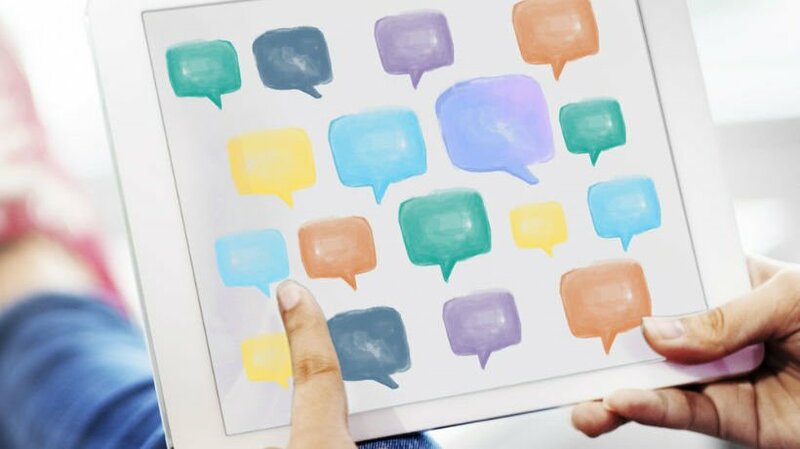 Read the article 10 Netiquette Tips For Online Discussions to discover the top netiquette tips that every eLearning pro should know.